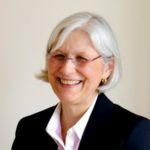 Kathy Komaroff Goodman is an experienced mediator with a deep interest in the role that emotional and cultural intelligence plays in a mediator’s ability to address the underlying needs of the parties in working toward durable solutions. She is also an experienced conflict coach, working one-on-one with individuals. She has developed and delivered training in emotional intelligence to mediators at the New York Peace Institute. She also has co-developed and delivered the workshop “Mediation and the Mediator” to graduate students at the Middlebury Institute of International Studies. Kathy is certified to administer the Emotional Intelligence Assessment (EQ-i 2.0) and the Neethling Brain Instrument (NBI) to individuals and groups. Kathy is a founding Principal at ACCORD, a collaborative of conflict management and resolution specialists serving individuals and businesses. She is a graduate of the Masters of Science program in Negotiation and Conflict Resolution from Columbia University. 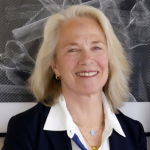 Christine Straw is a community mediator and facilitator with interests in the dynamics needed to move toward sustainable and satisfying solutions for all parties. She is certified to administer the Emotional Intelligence Assessment (EQ-i 2.0) and has been trained in conflict coaching. Chris is a founding Principal at ACCORD, a collaborative of conflict management and resolution specialists serving individuals and businesses. She is a graduate of the Masters of Science program in Negotiation and Conflict Resolution from Columbia University and holds an MBA.